Stallion Moving Services provides high quality movers for moving labor and help service for local or long distance moves. Our professional moving helpers will load or unload moving rental truck or container from Penske, Budget, UHaul, ABF, PODS, and more. 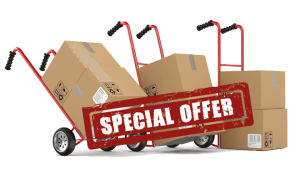 Call now for a free quote on loading, unloading, or rearranging. Moving help and labor is a fairly young aspect of the moving industry that is quickly growing in popularity locally and nationwide. Generally speaking, the moving client provides their own rental truck for relocation and hires a crew of moving laborers or “moving helpers” to pack, load and unload their home, as well as the rental truck. At Stallion Moving Services, we are happy to provide moving help and labor in the Denver metro area to assist you in your relocation from one home to another. Our full service moving company can handle each aspect of your move, from packing, loading and transport to furniture moving and unpacking, or just help you with the moving labor in Denver. The average local move (load and unload, not including packing services), takes between 3 and 5 hours. Variables in the time frame could include the distance walked to/from the truck, the quantity of stairs on each side, etc. The more details you give us for your move when you book, the more seamless your moving day will be. The Denver movers at Stallion Moving will see your move through to carefully and efficiently. Call (720) 880-8554 today to find out more about our Denver moving help and labor, or get a moving quote now! At Stallion Moving, we provide our clients with local or long distance moving help at competitive rates. Our Denver movers and long distance movers are trained and certified in all forms of packing and loading procedures. Loading and unloading assistance for moving clients who rent their moving truck elsewhere (from U-Haul, PODS, ABF, Penske, Budget, etc.) is also available. Stallion Moving Services places great emphasis in training our moving help to use the utmost care of your goods, all while acting in a professional and time-efficient manner. If you place a request for moving help, you will be accommodated with experienced Denver movers. Our movers show up at your residence or office completely prepared with hand trucks, four wheel dollies, shrink wrap, and hand tools and/or power tools for assembly and disassembly. Rope and tie-downs such as ratchet straps, carpet protection, boxes, packing paper, and tape are also available for your local Denver move or long distance move. Whether you require moving assistance in Denver or across the country, Stallion Moving has extensive experience loading and unloading moving trucks, as well as portable storage containers such like PODS, ABF, Pack Rat, and U Ship Moving Pods. Even If you have your own moving or rental truck, our movers in Denver can help you from start to finish. Moving help for larger jobs is also available, if you have rented an ABF trailer or are working with a interstate freight vendor like Broadway Express, Move-X, etc. Hiring moving help from Stallion Movers makes your move a a more stress free relocation process; we will help you do all the heavy lifting. For more information, please contact us or fill out our quote request form for a free estimate! Jamal and Darjion were absolutely fantastic and very hard working! They were hard working, friendly, and very helpful. Great as always! This is why I continue to use your company!